Doosan GridTech’s software platform helps utilities aggregate and optimize their fleet of distributed energy resources. Learn how our utility customers are facing the challenge of integrating renewable energy. We are proud to be LADWP’s EPC partner on their first 20 MW energy storage system and to be applying our open standards control software to preserve LADWP’s choice of future program build-out options. Learn More. The Utility-Integrated Energy Storage Wave is Coming. The building momentum of DERs will push electricity networks to their limit and create demand for a new wave of energy storage. Are you ready? Doosan GridTech® and Austin Energy were presented with a Grid Edge Innovation Award for their design of the Austin SHINES project at Greentech Media’s Grid Edge Innovation Summit on Thursday, June 21. Narrator: Energy Storage provides an ideal solution for electric utilities but storage alone cannot solve the complex pressures on the system. Doosan GridTech’s grid management platform delivers the software intelligence needed to automatically integrate unprecedented levels of distributed energy resources. Our solutions dynamically control energy, allowing utilities to embrace distributed resources while maintaining a reliable high quality electricity system for their customers. 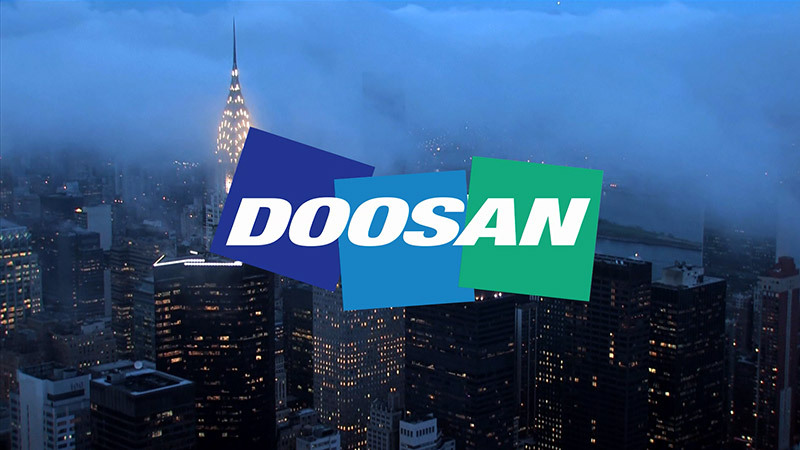 The Doosan Group was founded in South Korea in 1896 and has been delivering power generation solutions to customers worldwide for over 40 years. In 2016 Doosan acquired 1Energy Systems a recognized leader in utility software controls. The two groups formed Doosan GridTech with the goal of becoming the leader in technology based solutions for the rapidly evolving electric grid. Our intelligent controller software sits on location with each energy storage system and automatically reacts to changes on the local circuit. Complementing that is our distributed energy resource management system, DERO, which runs in a utility control center and dynamically optimizes resources throughout the entire system. Both products are built on open standards based software interfaces, to ensure wide interoperability with other systems. Complementing our software platform is a full range of engineering services: we offer upfront modeling and design, system integration, and maintenance and support after commissioning, and all of our work is fully backed by the Doosan Group. This software and services solution positions utilities to accommodate large amounts of wind and solar generation while maintaining a reliable, high quality electrical system. Snohomish Public Utility District, located in Everett, Washington, is the 12th largest public power utility in the United States with over 300,000 customers. Narrator: Moving forward Doosan GridTech software solutions will control more than just energy storage systems. Our platform unlocks the benefits of a wide variety of resources: from energy storage, to solar arrays, to intelligent buildings, and electric vehicles. The electricity system is facing significant change and Doosan GridTech is leading the way with innovative solutions for the emerging digital distributed grid. Watch this video on our vision for the digital distributed grid. Our customer portfolio combined with our employee backgrounds make us uniquely qualified to successfully deliver utility-integrated distributed energy resource projects such as energy storage and microgrids. Our software products are all built on open standards which keeps non-recurring engineering expenses low and preserves choice for our customers. As part of Doosan, we are a full service provider, benefiting from decades of experience delivering complex energy projects around the world. At the heart of every energy storage system are three essential components - a storage medium, a power conversion system and the control software that orchestrates the overall system. Microgrids come in many shapes and sizes - our focus is on those where the electric utility is actively involved. We're looking for great people to help us build the future of clean energy systems.